The Eire Society of Boston, Massachusetts commissioned Leroy Anderson to create an orchestral suite of traditional Irish folk music to be performed by the Boston Pops Orchestra. Anderson completed four movements in just 11 days while staying with his parents in his boyhood home on Chatham Street in Cambridge. Arthur Fiedler conducted the Boston Pops Orchestra in the premiere on June 6, 1947 of the original four movements which Anderson had set in the following order: "The Irish Washerwoman", "The Minstrel Boy", "The Last Rose of Summer", and "The Rakes of Mallow". 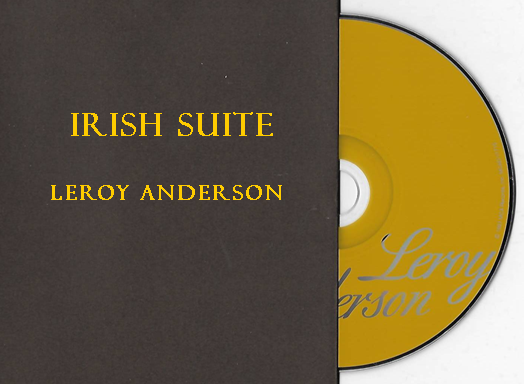 Anderson dedicated his "Eire Suite" to Arthur Fiedler. 6. The Girl I Left Behind Me. For the June 17, 1949 analog monaural recording, Arthur Fiedler conducted the Boston Pops Orchestra. Alfred Krips was the violin soloist in "The Last Rose of Summer". Anderson's recording was issued on 10-inch 78 rpm records and 7-inch 45 rpm records. Leroy Anderson never re-recorded it in stereo as he had done with most of his music. The only other works that were recorded in monaural and not stereo were The Bluebells of Scotland and Turn Ye to Me, two movements of the Scottish Suite. Mr. Anderson arranged The Girl I Left Behind Me for band in 1953. The Boston Pops rerecorded "Irish Suite" in analog stereo sound on June 22, 1966 in concert. The violin soloist in "The Last Rose of Summer" was Alfred Krips. Composer quote: "There is one troublesome point, namely in "The Girl I Left Behind Me". According to the information I have, it was originally an English song called "Brighton Camp"; the tune found its way to Ireland and there acquired the words "The Girl I Left Behind Me". Since it is Irish by adoption, it was included in the present Suite. In "The Minstrel Boy" the words of the poem by Thomas Moore - "The minstrel boy to the war has gone" - are conveyed by distant trumpets, drums, and cannon. It is a slow march over a basso ostinato. "The Rakes of Mallow" also describes the text, which tells of the carousing and rioting of the young bloods of Mallow. The music grows faster and faster and noisier and noisier. Here you might want to quote some of the words, which can be found in collections of Irish folk music. "The Wearing of the Green" is a pizzicato ostinato: the strings do not use their bows at all in the piece. The tune, treated as a scherzo, alternates between strings, woodwind, and brass. "The Last Rose of Summer" features a solo violin, played by Alfred Krips, and is scored for strings and harp, reinforced only by horns and trombones. The story of the song's use in [the opera] "Martha" [by Flatow] suggests itself here. "The Girl I Left Behind Me" has a contrapuntal effect near the end, where the piccolo and flutes play the first part of the tune against the second part played in augmentation by the horns. Orchestra with Full Score (medium-advanced) - The entire suite is now available for sale as a whole from Alfred Music. There are 6 Movements: 2+1, 2, 2, 2 - 4, 3, 3, 1- perc: timp/snare/bass/cymbals, strings. The single movement, "The Girl I Left Behind Me", is available for purchase with a Piano Conductor Score from Kalmus Music (Spring 2007). RCA Victor DM 1348, 10-1516, 10-1517, 10-1518; . 3 discs: 78 rpm; 10 in. ; analog. RCA Victor Red Seal WDM 1348; . RCA Victor 60746-2-RG; (1991). 1 compact disc. "Classical Jukebox: More of the Favorites of Leroy Anderson"
Pro Arte Digital CDD 414; . 1 compact disc. Naxos International 90018; . 1 compact disc. Naxos 990018; . 1 compact disc. 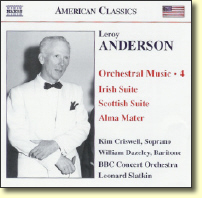 "Leroy Anderson: Orchestral Music Vol 4"
"Irish Suite" and only recording of "Scottish Suite"
Naxos 06-36943-93812-6; . 1 compact disc. Leonard Slatkin conducts the BBC Concert Orchestra in 18 Leroy Anderson works including Irish Suite, the only recording of Scottish Suite, A Christmas Festival, and vocal recordings of Blue Tango, Belle of the Ball and Forgotten Dreams with Kim Criswell, soprano. 1. Letter from Leroy Anderson to the copywriter for the album notes of the Decca recording of "Irish Suite". 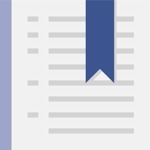 Leroy Anderson Archives, Leroy Anderson Foundation, Woodbury, Connecticut. are held by Woodbury Music Company LLC.